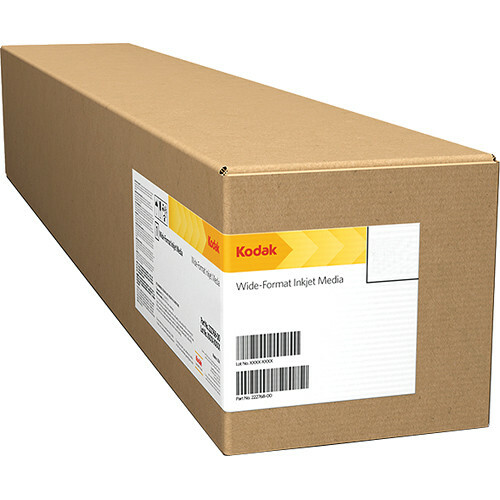 The 50" x 60' roll of Water-Resistant Removable Vinyl Inkjet Paper from Kodak is a calendered medium with a pressure-sensitive, removable, and repositionable adhesive. The vinyl features water-resistance, light stability, and is designed for both indoor and outdoor displays. Water Resistant Removable Vinyl has been tested to last 7 months unlaminated and 1 year laminated in an outdoor setting when printed with NovaJet 1000i Quantum pigment ink and 1 year laminated indoors when printed with Quantum dye ink. Box Dimensions (LxWxH) 52.0 x 5.0 x 5.0"